A patent places the rights to your invention securely in your hands. Now you have to bring the product to market. That means making your product and marketing it. it also means packaging, distributing and negotiating relationships with retail outlets. If you don't know much about these logistics, you may decide it's easier and faster to license your patent rights to a company already set up to handle all of these details. In exchange for the exclusive right to manufacture and sell your product you receive royalties, or a percentage of the profit made from product sales. Identify potential licensees. Research companies that manufacture products similar to the product you have patented. 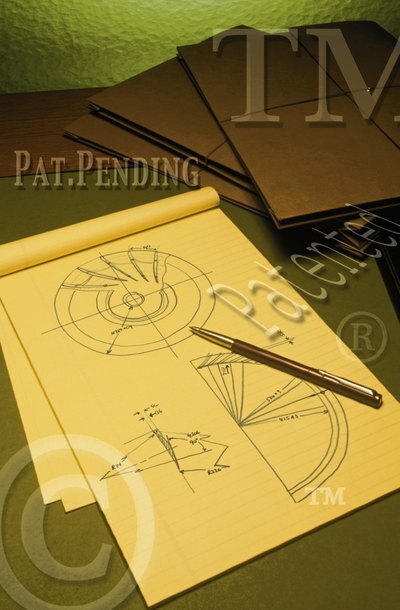 These companies already have the manufacturing equipment, retail marketing relationships and distribution channels in place to bring your product from patent drawing to market. Existing product packaging provides a wealth of information about manufacturers. The Thomas Registry also provides lists of manufacturers of products in various categories. Negotiate the terms of the license with the prospective licensee and draft the contract. The basic elements of a patent licensing contract include: strict identification of what the licensee has the right to do, and what it is prohibited from doing, with the product once it is manufactured; the duration of the license; the royalty rate and schedule for payments to the patent owner; and what procedure must be followed in case the contract is breached in any way. Also make sure the contract stipulates that ultimate ownership rights to the patent at all times remain with the patent owner. If the patent owner wants any additional say in the manufacturing, marketing or distribution processes, note that as well. Execute the contract once terms are satisfactory to both the patent owner and the prospective licensee. After the legalities are finalized, the licensee is free to commence manufacturing, marketing and selling the product. All you as the patent owner and licensor have to do is sit back and collect your share of sale proceeds.